Free Zodiac Compatibility Horoscope for Combination of the Cancer with the Zodiac sign Aquarius. 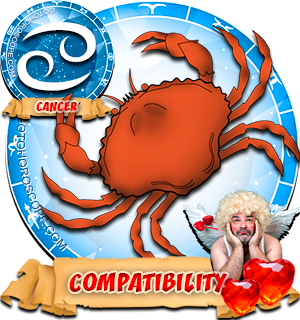 Compatibility Horoscope for Combination of Cancer and Aquarius Zodiac Signs. Cancer man and Aquarius woman met each other at the will of Providence. Their union promises to be harmonious because both zodiac signs show similar qualities. But all is not so simple in astrology. The compatibility horoscope laments on the fact that there is rarely trust between these two zodiac signs because they totally do not understand each other. Therefore, even having created a union, they are lone persons - each exists in his/her world of vision. Cancer man and Aquarius woman are hopeless romantics who can easily go with the will of fate, or dream of distant lands, sitting by the fireplace. Cancer man loves romantic relationship that involves candlelit dinner, house comfort, and 'Good morning, darling!' together with a kiss on the ear. For the Cancer man, romance is a journey on a ship in a cozy cabin, a swimming in the sea under the moonlight, a dinner table for two. For the zodiac sign Aquarius, the romance of life consists of songs around the campfire, help to all people suffering, roads leading to an unknown destination. Aquarius woman does not like home comfort - she prefers a tent by the lake. She does not want to become a housewife, baking delicious pies and belonging wholly and forever to her man, abandoning a wide range of friends and girlfriends. Any Cancer man's attempt to awaken sensuality in his woman may be perceived by Aquarius woman as an assassination attempt on her freedom and independence. She does not want to be bound by long commitments to family, she is more interested in the road which she is traveling in life. She finds it more interesting to live only for today, not remembering yesterday, and not thinking about tomorrow. Aquarius woman is afraid of such passion: she can be indifferent to his ardent declaration of love, she can be cold in bed. Cancer man is very difficult and deeply thinks through this situation because he feels that his woman does not have any feelings for him. 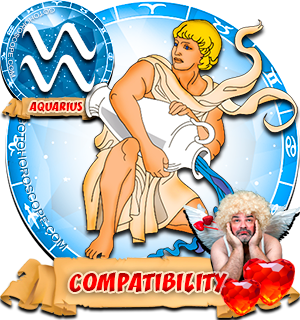 Aquarius woman, for the first time in her life, encountered such a sacrificial love on the part of a man to her, she thinks it is just impossible to love like that, and she tends to consider the Cancer man as not quite normal. However, she should relate to his feelings with due understanding: it is possible sometime later, when the dusty wind blows her way and she stumbles, the faithful Cancer man will be around, who will encourage and comfort her in difficult times, wipe her tears and look into her eyes emotionally whispering: 'I love you!'. 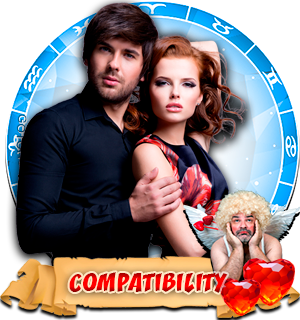 The compatibility horoscope leaves this couple with chances of a successful and lasting marriage. i love aquarius womrn v much but she nt desserve dit.. I disagree with article as well...My cancer man loves to go more than I do! He loves home and enjoys family activities. We are fun loving to a fault. We are both passionate, hopeless romantics and he is never possessive or insecure. However like most cancers, moody and very sensitive at times...and when that happens then I become a true Aquarius air sign until he comes out of his shell. I am in this kind of relationship, cancer man and aquarius female, and we've been going very well for three years. We tell each other we "I love you" all the time, and I absolutely love doing the romantic stuff with him as long as he is willing to do the adventurous stuff with me. As a female aquarius, I disagree with the statement that we are afraid of passion and don't like home comfort. We are very passionate of what we perceive as right, of what our career choice is, and doing right by those we care about. I love that I can take care of a home because it tells me I can be independent and don't have to rely on someone else to take care of it for me, and believe that having a home to go back to (even if it is small) provides me more comfort for my journeys, as I don't have to worry about where I'll stay. We're not as airy as this article is making us out to be. Really. She is 100 per cent right I have the same case too and I totally agree with you. I agree with you % we are passionate about love and being at home if it's a happy home.